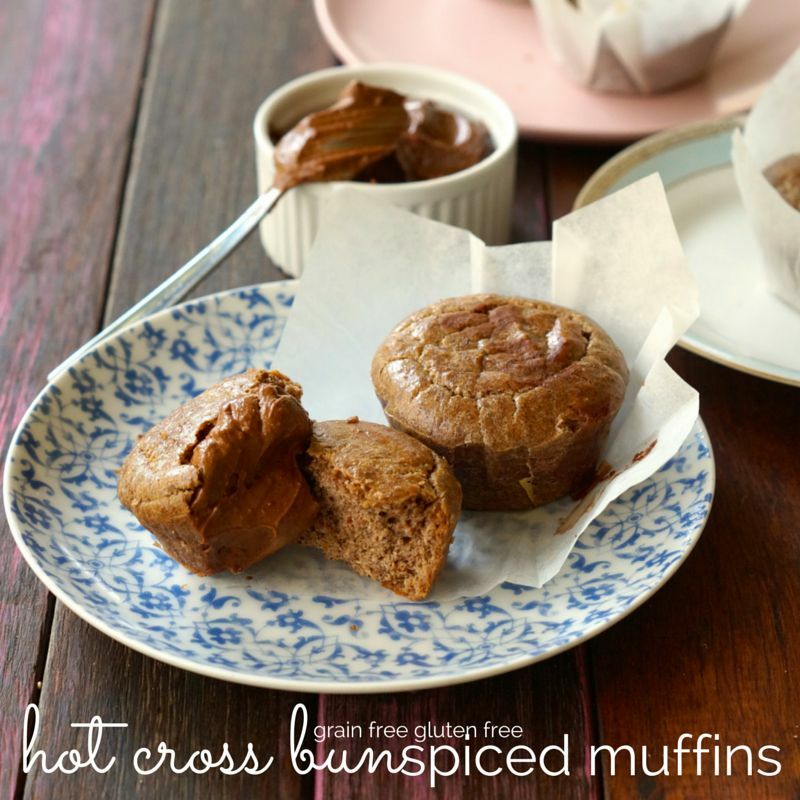 Grain Free Gluten Free Hot Cross Bun Spiced Muffins. Easter is just around the corner… yes… next week! Which means it is totally healthy Paleo Hot Cross Bun time! It’s also healthy chocolate time. BUT, this year we’ve also come up with these delightful Grain Free Gluten Free Hot Cross Bun Spiced Muffins (that’s a mouth full… a delicious one in fact!). These are much lighter (not as dense) than our paleo hot cross buns, PLUS they’re quicker and easier to make! Did we mention that there’s absolutely NO sweetener in these? We’re trying to come up with sweet treats that are full of good fats and no sweetener… we’re going to write about this soon! 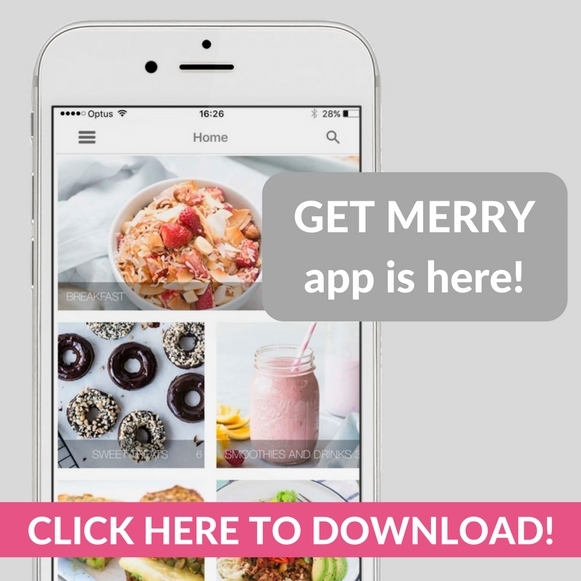 You can thank us later! 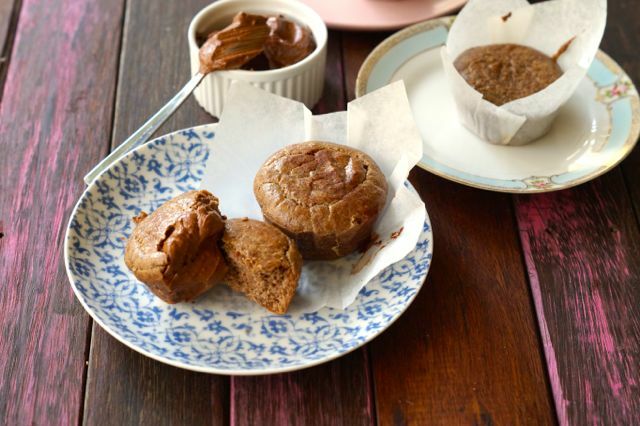 Heck yes to quick, easy, sweetener free sweet treats! Let’s call them UNsweet treats! We suggest serving these babies with chocolate nut butter or just regular ole butter (because butter makes everything better!). p.s add some ‘crosses’ to these muffins to make them even more Easter-ry! 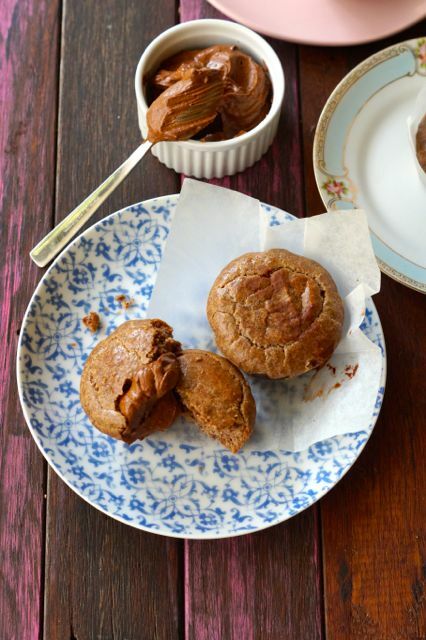 Get the recipe from our Paleo Hot Cross Buns! p.p.s if you DO want to add sweetener to these, you totally can. We’d suggest 2-4 tbs. 100% maple syrup or honey. In a large bowl combine the almond meal, cinnamon, nutmeg and salt. Add the coconut milk, ghee, eggs, vanilla and mix well. You could put crosses on top of these muffins before baking to make them more easter-ry! Check out our Paleo Hot Cross Bun recipe, link above!